The more of your content your audience consumes, the more likely they are to become loyal fans of your work — these people will be more likely to share your articles on social media, return to your website regularly, and, ultimately, convert into paying customers. Top quality content is, of course, a big piece of the puzzle, but an easy to navigate website structure is just as important. After reading your article, a visitor will wonder what to do next — do they leave, or should they read more of your content? I’m guessing you’d prefer the latter, right? Then it’s your job to make it as easy as possible for visitors to do so. One of the best ways to move people around your website is to include related content links at the bottom of your articles — another great method is internal linking. Related content links are an ideal way to encourage visitors to remain on your website. In doing so, this will improve your bounce rate, page views, and time on website statistics — all metrics with a positive influence on your website’s SEO performance. It’s also a fantastic way to inject life into some of your older articles, which have been pushed off your front page and no longer receive the traffic they deserve. Today, I want to introduce you to seven of the best WordPress related content plugins, so that you can add the related content function to your WordPress website. Automattic’s flagship WordPress plugin Jetpack offers features such as performance tools, analytics, writing tools, comment enhancement, and more. Their related posts tool can be found under the traffic section of Jetpack settings. Related posts look great, but from a functionality point of view, there are few customisation options. In the settings area you can choose to display a heading above related posts and whether thumbnail images are displayed. Additional options can be found within the WordPress theme customiser. You can define the heading text and enable and disable thumbnails, dates, categories and tags. The layout can also be changed from grid (horizontal) to list (vertical). Jetpack’s related posts feature looks great and is easy to use. It is a good choice if you already have Jetpack activated and want a basic related posts solution, however it is limited. With no control over the time period in which posts are shown, related posts are frequently outdated. On my personal blog, for example, Jetpack regularly shows articles that are five years old. If you are looking for more control over related posts, Contextual Related Posts is a fantastic solution. The plugin allows you to to define a cutoff period for the related posts that are displayed. You can also randomise posts, select which post types are displayed, limit posts to the same post type, and exclude categories from results. Contextual Related Posts offers many layout options too. You can customise the HTML that is used for your output and there are around a dozen options related to thumbnails. The plugin can also display related posts in your RSS feed. The number of posts that are displayed, the location of the thumbnail, and the thumbail size, can all be adjusted for your feed. The output that Contextual Related Posts generates from the default settings looks great, but where the WordPress plugin stands out is customisation. I highly recommend checking it out if you want to filter the results that are displayed on your website. Related Posts Thumbnails Plugin for WordPress is another good plugin to check out. Its output is similar to Contextual Related Posts and it provides some useful filtering and styling options. A popular related plugin solution to consider is Yuzo Related Posts. The plugin lets you define which pages related posts are displayed and the criteria for when related posts being displayed. Specific posts and pages can be excluded via tags and post IDs. Four layout styles are available and the thumbnail size, shape, background colour, margins, and padding, can all be adjusted. Views are tracked too. Yuzo Pro costs $39 per year. The developers claim that Yuzo Pro is 25% faster than the free version. It adds additional functionality such as advanced analytics and extra styling options for your output. The pro version also lets you create your own relationship algorithm for the posts that are displayed. This is an important feature as in the free version there is no way to define which time period posts are retrieved from. Yuzo Related Posts is a good related posts WordPress plugin to consider. It has many fantastic styling options and a widget is available for those that want to integrate related posts into sidebars. 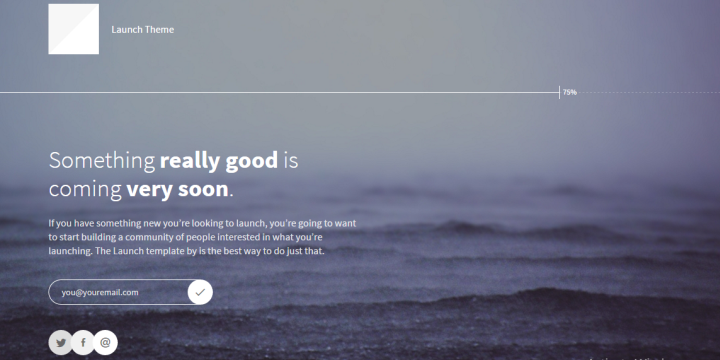 AddThis gives website owners a host of social media tools and engagement tools. This includes social media sharing buttons, list building, and tip jars. Their related posts WordPress plugin helps you integrate their related posts tool on your website. In the advanced settings area you can enable sharing and click tracking and enter your Google Analytics ID and Twitter username. A variety of loading options are available too; such as the script location, which action hooks are used, and whether asynchronous loading is enabled. Custom JSON code can be added too. Whilst the plugin website settings are defined in your WordPress admin area, you need to customise your related posts on the AddThis website. Related posts can be inserted in one of three ways. You can display related posts as a slider, in the footer, or within your content area (inline). Items can be displayed horizontally or vertically and you can define how many articles are displayed. There is an option to hide related posts on mobiles or desktops, but what I love is the ability to promote a speific page on the first related post slot. Unfortunately, there are no filtering options to only show articles from a specific category or specific time period, so related posts are not as targeted as other related posts solutions in this list. If you are looking for a simple hosted related posts alternative to Jetpack, WordPress Related Posts Plugin by AddThis fits the bill. It is easy to use, gives you multiple ways to display related posts, and the output looks great. The main downside is that it offers no control over which posts are displayed in your related posts box. Bibblio is a related content service that was designed to increase your website traffic. Their free plan allows up to 25,000 views per month and up to 500 articles to be stored. Their cheapest premium plan costs $19 per month and increases views to 50,000 and stored articles to 5,000. Once you have signed up you will be given a client ID and client secret that will enable you to integrate their service on your website using their WordPress plugin. You will then be asked whether you want eisting posts and future posts to be recommended. In the next tab you will be asked to set up your module. You can optimise your module for improved page views or for relevance only. Related posts can be displayed in showcase, grid, column, and row, layouts. The title and headline can be modified too and you can change what information is displayed on the article thumbnail. You can go back and adjust settings at any time. One of my favourite features in this area is the ability to change the time period for post recommendations. Analytics are displayed in the main overview page, though you have to jump over to the main Bibblio website to see all statistics. Related Posts for WordPress by Bibblio is a versatile solution that offers many unique layout options. The main downside of the plugin is that the free plan is limited to one module and 25,000 views per month. Beyond that, you will need to sign up to one of their premium monthly plans. If you want to display related posts inside content, check out Inline Related Posts. The plugin lets you insert up to three related posts boxes inside your posts. The word interval between each box can be set so that you can space boxes as you see fit. You will be pleased to hear that related posts can be restricted to a defined number of days for posts. Two basic styles are available in the free version. They look good, but unfortunately cannot display images from your posts. The premium version, which retails from $27, adds three additional styles. These styles incoporate featured images. They look more professional and should increase page views. Upgrading also lets you add an unlimited number of inline related posts to articles; though I believe most website owners will be content with three boxes. If you feel that WordPress Related Posts Plugin by AddThis is not giving you the control you want over your inline related posts, Inline Related Posts is the plugin for you. Another useful related posts plugin to consider is Related Post By PickPlugins. From a functionality point of view, it sits in between a basic solution like Jetpack and a feature rich solution such as Contextual Related Posts. The plugin allows you to insert related posts into multiple post types via shortcodes or via a PHP function. Clicks can be tracked and you can change the headline and how many items are displayed. Related posts can be displayed in a grid, in a list, or in a slider. For each item you can set the width, alignment, margin, and padding. In the layout section you can define how the thumbnail, title, and excerpt look. A number of pre-defined thumbnail sizes are available and you can select a maximum height for images. There is a dedicated page for slider settings. The number of columns for desktops is set at four, tablets at three, and smartphones at 2. You can, of course, modify these. Slider speed, pagination, navigation, background colours, and other slider options, are available too. Related Post By PickPlugins does not give you any control over the related posts that are displayed to visitors, but if you are looking for a simple solution with some cool styling options, it is a good choice. For the purpose of this article I tested over 20 related posts WordPress plugins on my test website and on my personal blog (i.e. a live environment). In this section I would like to share with you some great related WordPress plugins that just missed the list. If you are looking for control over your output, you may want to check out Similar Posts. The plugin allows you customise the HTML in your output template. Dozens of tags are available to help you control what posts are displayed and how it all looks. The nature of this plugin does mean that it is less user-friendly than alternatives, however advanced users will like it. Related Posts by Taxonomy is an interesting related post solution that lets you insert related posts via widget or shortcodes. You can choose to display single or multiple taxonomies, exclude or include posts, and limit what is displayed by number or date. If you are looking for a premium solution, check out Related Posts for Distinct Posts. Retailing at $30, the plugin supports thumbanils of different sizes and lets you select whether post meta information is displayed. The related posts that are displayed look professional. Custom Related Posts is a basic related posts plugin, but it does have some cool features such as importing relations via XML format and native support for the Gutenberg Block Editor. Another basis solution to check out is CP Related Posts. It’s quite unique in that it allows you to display how similar the related posts are using a star rating system or bar. If you’re struggling to keep users on your website, adding related content function on your website is a proven way to get people to stick around — this will result in more page views, longer visitor duration, and reduced bounce rate. Perhaps even more importantly, when a user views more of your content, they’ll be better able to appreciate what your website is all about, which can also boost subscriptions, social shares, and even conversions — basically, all the good stuff! All of the plugins featured today are capable of adding a fully-functional related content section to your website. However, they all look and work slightly different, with different strengths and weaknesses, so take your time, and pick a favorite. Used/using any of these related posts plugins? Which do you think is best? OneSignal fully supports some of the major browsers, like Chrome, Safari, Edge, Opera and Firefox. You can set it up to send out notifications automatically, but you can also schedule them if necessary. Moreover, customize the default settings when it comes to capturing your visitor’s attention on their initial opt-in. The free version of the plugin supports up to thirty thousand subscribers. As the name suggests, you sure will be sending out a lof notifications when you get your hands on Notification WordPress plugin. It takes very little time to set it up and configure settings and you are ready to roll. For your information, there is no limit to how many notifications you would like to send; as many as your heart desires. There are three main components of Notification; trigger, notification and merge tag. The simplest process is described as follows; you pick the trigger, make the message with merge tags, set receivers and you can already start sending out different notifications. While Notification is super beginner-friendly, it is also a fantastic solution for developers. With the API, you can customize, modify and improve Notification further and make it follow your or your client’s requirements to a T.
Have you ever been on an eCommerce website, and, all of a sudden, a notification appears that someone has just bought that item? I bet you have. It is a fantastic add-on that helps build customer trust and encourages them to buy without hesitation. This comes especially convenient if it is their first purchase on your online store. With Sales Pop WordPress notification plugin, you can now add this same extension to your page and increase conversions. One of the amenities of Sales Pop is the live sales feed that generates a live pop-up for when someone buys a product. Of course, you can also set fake sale notifications and make a particular product appear like it is hot at the moment. Also, you can customize and adjust the layout of the design to your likings and make it fit your theme flawlessly. Live Sales Popup is another killer WordPress notifications plugin with several goodies that you can take to your full advantage. First, it has the ability to display a pop-up when someone completes an order. Second, Live Sales Popup can also display a notification when a person simply adds an item to the cart. And third, you can use the tool to boost hype for a product by showcasing how many visitors are viewing the item. Due to practicing all the latest web trends, you can expect Live Sales Popup to appear beautifully on all devices and browsers. As for the pop-up layout, you can customize it to the very last detail. Additional traits of Live Sales Popup are over thirty different animations, sounds, custom timing and custom positioning. It also works for fake notifications and allows you to set it only for specific pages where you would like the notification to perform its thing. To get the most out of your WooCommerce store, SalesPower is one fantastic plugin that you should not miss. It is a versatile and powerful extension with loads of different features and functions. Where to even begin? Well, let’s quickly take a peek at some of the traits that you get access to when working with SalesPower. Instead of allowing your visitors to just leave your website, set up an exit pop-up and win them over. You can use it for special offers and to capture their emails for future email marketing campaigns. Furthermore, you can also effortlessly set up cross-sells and upsells with SalesPower. Instead of sealing the deal and buying just one product, you can now push similar items, give them an exclusive deal and sell more products. In conclusion, a lot is going on when using SalesPower, giving you a chance to take your online shops to new heights. WordPress GDPR is the one and only notification plugin that you need to secure your website with GDPR compliancy. Instead of using a bunch of different tools to make things happen, WordPress GDPR does all the hard work by itself. Before you fully dive in, you can first check demo and how-to videos and see the simplicity of the plugin. The footer of any website is usually a very much neglected space. This is not a good practice especially when every bit of design effort is geared towards attracting and holding a viewer’s attention. In such a scenario, can you really afford to ignore any area of the screen space on your website? These WordPress footer plugins will help you to optimize the footer region for maximum benefit. Though the footer of a website contains a whole lot of useful information about the site, visitors tend to ignore it. Usually a footer holds contact details, maps that help with direction or links to important information. You’ll also find a lot of boring legal stuff that no one really wants to read – website policies, disclaimers, copyright information. Some website owners also look to monetize this space by placing ad banners. One reason that the footer does not receive as much attention as the rest of the website from web designers is that the conversion rate is generally low in the footer area. But there’s a whole lot of stuff that you can include in the footer to make it more interesting and useful to visitors. You can place links to your best content or a sample of your portfolio. Or add logos of clients or writers’ bio to increase credibility. This can also be the place where visitors have one last chance to click to share on social media. From the footer, you can allow visitors to receive newsletters by presenting a signup form or to search your website. Using shortcodes you can create attractive buttons to present information in the footer. Make it easier for visitors to navigate by adding a scroll to the top option. Of course, too much content in the footer will make it appear overcrowded. It’s up to us to decide what’s important to our website and make use of space in the footer to include this information. It would be best if you could devote some attention to the footer right at the start when you’re building your website, so everything falls into place neatly. There are a number of free plugins that help specifically to enhance utilization of the footer. Many of the plugins in this list have one main function – they help to insert code snippets that carry out different functions. Almost inevitably, somewhere down the line, we’ll desire to add code relating to Google Analytics, Facebook Pixel, Custom CSS or other code to the header or footer region of our website. To do so without having to modify the theme files, use the Insert Headers and Footers plugin. This plugin offers a simple interface where you can input the code. It’s a straightforward, no fuss plugin that’s easy to set up and to use. Users of the Genesis framework can rely on the Genesis Custom Footer to insert code into the footer region. The default Genesis footer credits can be modified by visiting the section that’s added to the Genesis Theme Settings page. You also need to have an active Genesis child theme to use this plugin. You can add shortcodes from within the Genesis framework or use your own HTML or plain text. Header and Footer plugin offers a centralized location to add verification codes for many services like Google Analytics, Alexa and Bing. Simply copy the codes generated by these services in one place, without modifying your theme. This means that you can change themes at a later date without losing these codes. Not merely on the header or footer, you can inject these codes anywhere in a post or page – top, bottom or in the middle of content. You can also place these codes anywhere on a template using placeholders. Moreover, you can inject code in AMP pages. However, this plugin cannot change the menu or footer layout. You’ll need to fall back on your theme for those functions. Ad Inserter supports many different advertisement services, including Google AdSense, rotating banners and contextual Amazon Native Shopping Ads. There are not too many options or settings with this plugin as the author’s intent is to keep it simple to serve a single purpose. When you put the legal information related to your website for all to see, it imparts a credibility to your site. The Footer Putter plugin creates two widgets relating to Copyright and Trademarks. The copyright statement updates automatically every new year to avoid negative signals to Google. Details of accreditions, privacy statement, terms and conditions, NAP (Name, Address, Phone number) can be included to establish credibility. You can choose a single line centered footer or a multi line aligned footer. A hook allows you to fit in a footer in non-widget areas of your theme. You can choose to hide the widget on landing pages and hide the “Powered by WordPress” line as well. AddFunc Head and Footer Code is a lightweight plugin that helps to add code to the header and footer site wide or on individual pages and posts. After activation, open the page or post and simply paste the code to the header or footer, and Save. You can add conversion code to Thank You pages or even Google re-marketing codes using this plugin. There’s also an option to include the code on all the pages or posts at a time. When you pick up a WordPress theme, chances are, there is only a single or, in other cases, two columns in the footer section. For some, this might be more than enough while for all the others, well, we need more columns! If that is the case for you, Footer Mega Grid Columns is the WordPress footer plugin that will do the trick. Instead of running the default settings, you can now step things up with multiple columns/grids in the footer area of your theme. With Footer Mega Grid Columns, you can now add multiple columns, two, three, fours, you name it. Also, the plugin works flawlessly with all the modern WordPress themes and even supports other widgets and plugins. There are many out there who do not really care about their footer, well, do not be one of those and pick Footer Mega Grid Columns. If you are looking to remove the footer section where it says, “Powered by WordPress,” you came to the right place. While the plugin above adds new stuff to the footer, Remove Footer Credit – hence the name – removes it. Sure, if you are tech-savvy and know how to code, you can do it manually by changing the source code of your theme. However, to keep things as simple as possible, just install and activate Remove Footer Credit and you are ready to roll. What’s cool about Remove Footer Credit is not just the feature that allows you to remove footer credit. Sure, you can keep it blank, but you can also add your custom text to it if necessary. And the setting and options it offers you are barely any, making sure that you cannot mess things up. This next WordPress plugin gives you loads of different options on how to improve your website further. However, all can happen under one condition: you must be using Elementor drag and drop page builder. With the website builder and the plugin, you can now hammer out nifty headers and footers like a pro without the need to know how to code. Thanks to the powerful Elementor, you do not really need to do any programming to be able to perform customization tweaks. You can create the entire design of your spectacular footer by using Elementor. 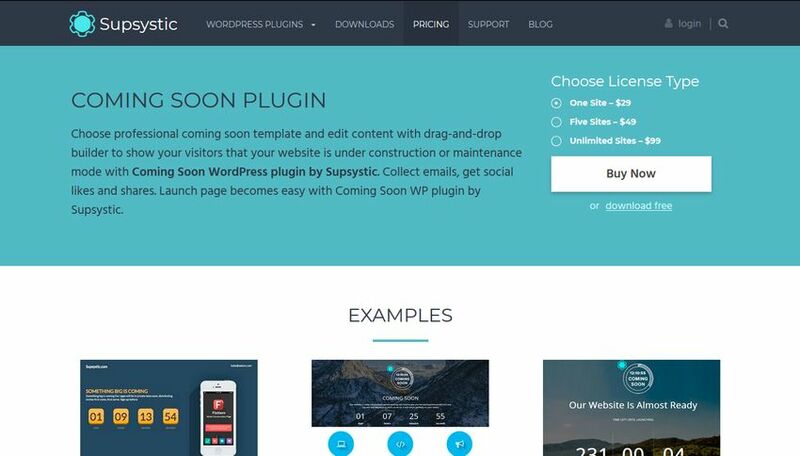 From then on, the new layout you create, the plugin will automatically add to your website. And if you need additional information on how to set it up, make sure you first go through the step-by-step guide. However, you will soon realize how simple and quick it is. Header Footer Code Manager is a WordPress plugin that helps you add custom snippets to both header and footer. From now on, you will never again need to worry about adding different codes to your WordPress theme, worrying whether or not you will break something. Header Footer Code Manager is very user- and beginner-friendly, making sure the process of adding scripts and styles is always successful. On top of that, even if you are switching between different themes, the snippets will stay there intact. Some of the goodies of Header Footer Code Manager are the ability to manage on which page or post the snippet loads, as well as full support for custom post types. Also, the limit to how many snippets you would like to add is none. Moreover, with Header Footer Code Manager, you also eliminate the number of plugins you run on your WordPress install. You do not need to install a new plugin just to add some code, with Header Footer Code Manager, you can do it all. Using a filter, you can disable the plugin on specific posts and pages, and on specific archive pages. At the same time, you can keep specific scripts in the header. For this plugin to work, the theme you’re using should enqueue scripts as per WordPress standards. Same is the case for the plugins on your site. The Storefront Footer Bar is a plugin intended for use along with the Storefront theme, a WordPress shop theme based on WooCommerce. It’s handy if you need a full width widget region above the default footer widget area in the Storefront theme. You can customize this bar by changing the background or altering colors via the WordPress Customizer. Important to note, this plugin works only with the Storefront theme. This way site admins can add custom headers without modifying the theme file. If you’re not particularly fond of the generic “Thank You for Creating With WordPress” tag at the bottom of your website, use the Personal Admin Footer to change it to anything you want on all your pages, except the Network Admin Page. There’s no settings involved, simply install and activate. The plugin will automatically pull your site name and home URL address from the General Options Page of your WordPress dashboard. Compact WP Audio Player allows you to embed an mp3 audio file anywhere on your website. The player is compact and takes up little space, so you can easily place it in the footer. It works with all major browsers and is HTML5 compatible. The player is responsive and can be added anywhere using shortcode. It’s a useful plugin for any website that’s into podcasting, selling audio files or the like. While a free footer plugin should suffice in most cases, if you’re looking for feature rich plugins or plugins that come with a greater level of support, take time to go through these premium plugins. To take the functions of Elementor to a whole new degree, you need to get your hands on JetBlocks. It is a powerful and practical plugin that adds new header and footer widgets for enhanced web space. Speaking of widgets, in the JetBlocks package, you will find logo, login form, registration form, hamburger panel, search and shopping cart to name a few. You can also make a section sticky so it follows your visitors while he or she scrolls down your page. To keep things as comfortable as possible, every JetBlocks user also gets access to professional 24/7 support and in-depth documentation. However, if you are already using Elementor, you know how simple the process of crafting new layouts is. Well, with JetBlocks, you just add another convenient feature to the experience. Get your footer section sorted out in full and shine online. HayyaBuild lets you create footers and headers for every page of your website individually. 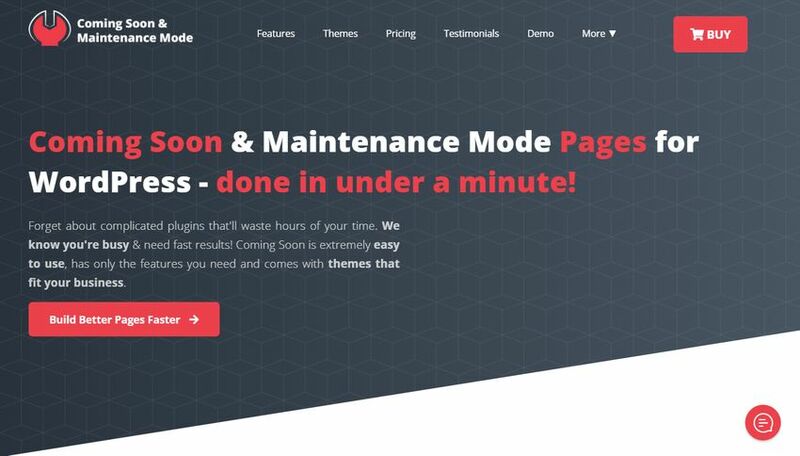 This intuitive drag and drop WordPress builder plugin lets you build unlimited headers and footers without using any code. Or you can use one of several readymade modules that come with unlimited effects. You can add video backgrounds for header and footer, and export and import headers and footers from one site to another. It works with any WordPress theme and no other plugin is required. To get your footer to slide up smoothly, try leFooter. Using this plugin you can have not one, but multiple slide in animation effects using jQuery. The plugin is highly customizable offering five predefined themes and textures, and multiple color options. It integrates with all standard WordPress themes easily. The plugin allows up to four columns that can all hold widgetized content. If you wish, you can hide widgets on specific devices such as desktop, iPad or mobiles. You may have come across many websites which appear to have no footer at all, but the footer is revealed as you scroll down the page. With Footr, you can have a similar footer on your website as well. The footer is both sticky and responsive, and you can simply drag and drop content into it. The color picker will help to customize, and the plugin includes a custom filter that will allow you to show or hide the footer on specific pages and posts. You can add any content using widgets, right from plain text to custom menus. Using custom widgets, you can also build horizontal menus and adjust spaces, alignments and columns. It’s possible to set up to four columns and set the column size on the widget content, so that it aligns automatically when added in the footer. Though it’s unlikely that you’ll need customization, you can use CSS to override any style. Royal Footer Bar adds clean, responsive and professional looking bars to your footer. It’s designed to increase conversions by adding Ad Footer bar, Opt-in footer bar and social footer bar. Moreover, it supports AB Split testing and generates daily reports about clicks and views. What’s more, you can add bars in only the pages you need and exclude others. This helps you to undertake targeted marketing. While being easy to configure, the bar allows a great deal of customization. You can make the bar transparent, choose buttons for display, disable the bar for a specified number of days, fix the time lag for appearance of the bar and also close the bar after a specified time. Sticky Footer Nav offers a mega footer that stays fixed at the bottom of the browser. It’s based on a flexible grid system that can be adjusted to hold your content. You can configure the plugin to set triggers and enable or disable the responsive feature. A scroll bar appears automatically when there’s a good amount of content in the panel. The plugin includes three types of drop down and can fit into any kind of layout. The columns of the grid are flexible and the menu items can be aligned to the left or right. It’s compatible on several devices and browsers. The plugins in this list should inspire you to get innovative and create stunning footers that not only contain relevant information but also help improve conversion. However, take care that you do not go overboard and clutter the footer. Visitors have come to expect certain content in the footer and it’s best to keep them there. But that should not prevent you from making use of the available space to highlight what’s important or to persuade your visitors before they leave your website to subscribe or like or purchase.